I think that who comes in Japan to study the language has a dream different from any other else. It Is not easy but, in a very short period of one or two years, we help students to learn Japanese up to the level of understanding university lesson. Improving students` language skills is our main goal but we also reassure students providing them an efficient support for everything related to the life abroad such as dormitory, health assistance, compatibility between study and part-time job, visa, entrance in a University and so on. To let each student reaching his goal we accompany them toward a gradual maturity. We looking forward to seeing you soon in Yamate Japanese Language School. Already four year passed from the opening of the School. There are many young teachers, and students get along with them in a bright atmosphere. The School is located in Kawagoe in Saitama Prefecture. The train takes only 30 minutes to reach Ikebukuro, a very convenient place in Tokyo. Compared with Tokyo, Kawagoe houses rental fee is cheaper and there are numerous company nearby the school that hire international students, in that way is easier for students conciliate both study and work. Yamate former School was established 40 years ago, since then passionate teachers help students in improving their language skills and accompany them along the path that conduces to the realization of their dreams. Teacher put all their passion in each lesson and students attend them with interest. We care about our students and paying attention to each of them we project high quality lessons that concretely help them to improve their knowledge of the Japanese language. In case of fail to the comprehension check test, supplementary lessons will be held (for free). During the ordinary lessons students will be trained to the JLPT level N1 and N2 (for free). We care of our students. The dormitory is equipped with all the necessary items such as futon, cooking utensils and many others. At the beginning some students can`t speak or understand Japanese. However, our staff is always ready to help. In case of illness or indisposition, our staff take student to the hospital. Moreover, student can always ask for help for their study, entrance in university, daily life, apartment, visa and so on. Teachers will do their best for solve their problem. All students will receive information on public transportation, manner, and garbage recycling. We want to create a relaxing environment where students can study without any trouble. The guidance toward University is infallible. As a preparatory school we are confident to help high school students in entering University. After graduation, many high school student succeeded in entering famous university such as Waseda and the University of Tokyo. There aren`t many YAMATE graduated student yet, but the number of students who enrolled in private universities, famous public universities and graduate school have been increasing. We give advices on university fee, scholarship and which university is more suitable for each student. We do our best to make students able to succeed in their dreams. 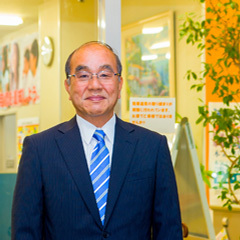 At YAMATE the relationship between teachers and students is very familiar. We want to create a strong long term relationships whether students have graduated or are still studying at school. We would like to leave a good memory and be a school that concretely helps students in creating their future. 2015.11.25Website is available in Russian. 2015.10.21Website is available in Indonesian. 2015.07.22Website is available in Vietnamese, Chinese and English. Authorization from the Ministry of Justice ・ Authorization from the Association for the Promotion of Japanese Language Education. Yamate Japanese Language School was established in Saitama Prefecture in April 2010. YAMATE is a Japanese language school that established by Yamate Gakuin Co.Ltd. which specialized preparatory school for junior and high school students. The School is near both to the airport and the city center. It`s a very convenient location.